From fault-finding through to socket installations, our domestic engineers are able to assist you with keeping your home safe from electrical faults. Whether you need a survey or a landlord certificate, our qualified commercial electricians are able to provide you with expert maintenance services for your business or property. Whatever the sector you work in, you can rest assured that our technicians have the skills and knowledge to provide your industrial company with specialist repairs. Get in touch with us, in Nottingham, Nottinghamshire, to discuss our electrical repairs and engineering services. Here at Daybrook Engineering Services, based in Nottingham, Nottinghamshire, we offer our clients first-class electrical repairs and engineering services. Our service is built around your specific needs and our aim is to exceed your expectations. Our technicians specialise in central heating, including the repair of heating system controls. 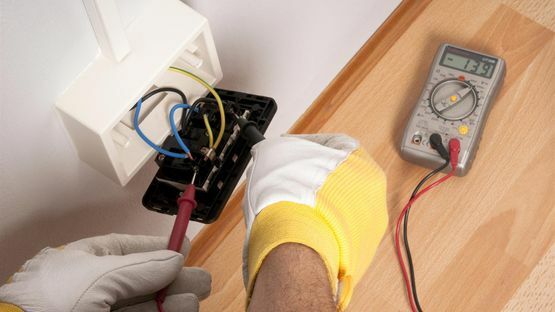 In addition, you are able to call on our team when you require assistance with sockets, such as phone sockets, TV points, lights, and rewiring. With more than 30 years of experience in the industry, we have developed the skills necessary to quickly and efficiently tackle any electrical or engineering problem in your home or business. Our electricians are there for you whether you need domestic repairs or commercial rewiring services. Our team offer a polite, friendly, and professional service, and treat your home or property with complete respect. As a company, we are inspected annually and maintain testing certifications that assure you that our skills are always up to date. This allows us to provide a cutting-edge level of service to you, be it commercially, domestically, or industrially.